We are experts in restoring, reusing and recycling jewelry That’s why an important part of the relationship we have with our customers begins at the close of a sale: together with the customer, we are responsible for the maintenance of the jewelry. Trained by the company itself, professionals working in TOUS stores can advise and assist each customer personally. 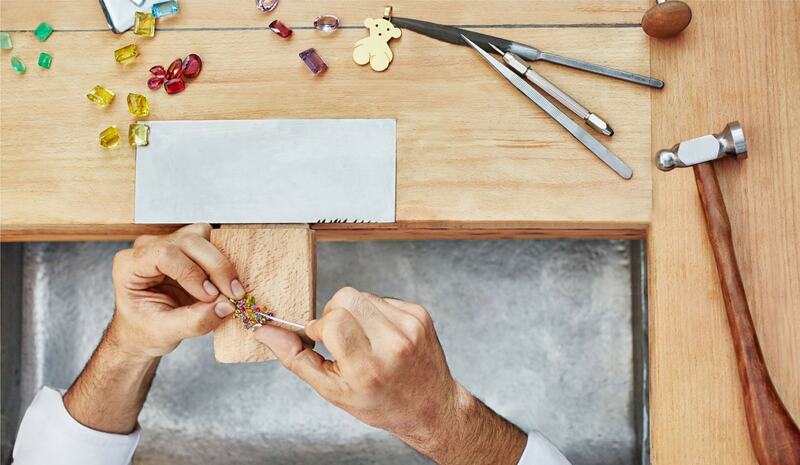 TOUS also offers a workshop service to carry out repairs and adjustments to pieces, guaranteeing immediate customer satisfaction. In addition, TOUS professionals can provide customers with tips on looking after their jewelry and offer an after-sales service that includes cleaning, maintenance, restoration and repairs. They also carry out jewelry customization and bespoke design. In order to provide the best possible service to customers requesting exchanges or returns, the company has established policies that give priority to the customer, allowing them to exchange or return items to any TOUS store in the world. 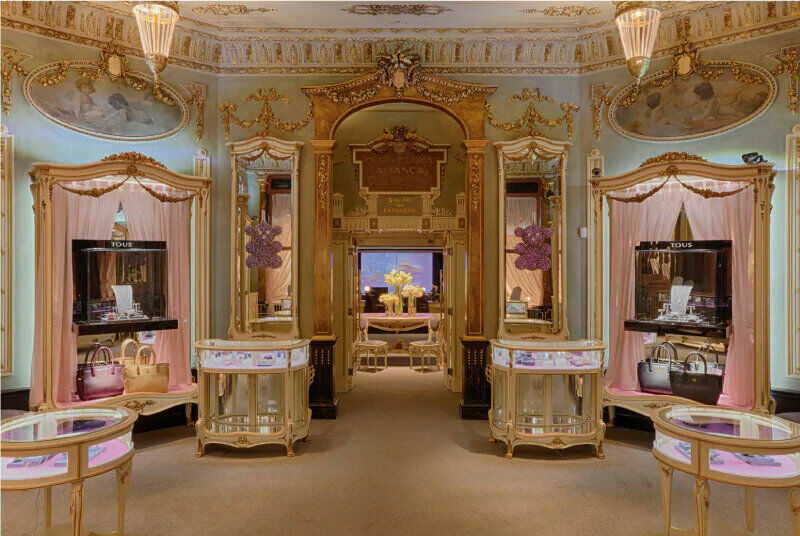 TOUS participates in the restoration of iconic jewelry stores as a symbol of respect to the industry’s culture and tradition. 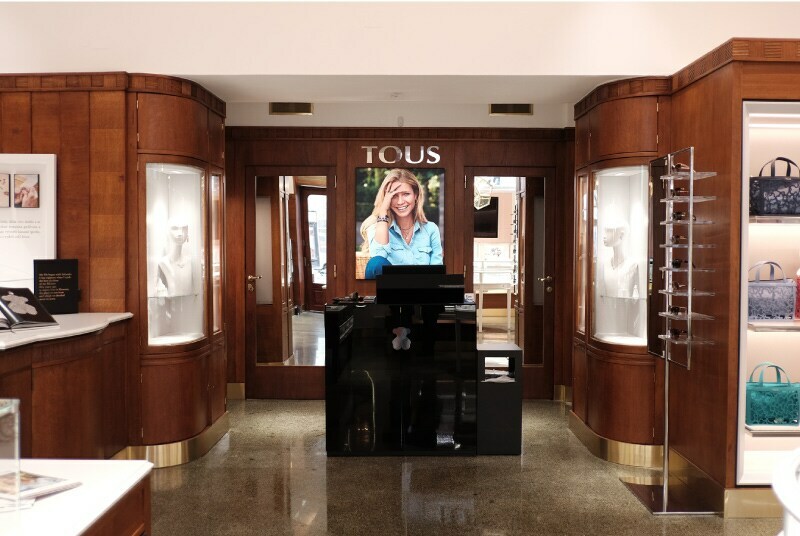 In 2012, TOUS opened a store in the historical Ourivesaria Aliança building, an emblematic jewelry emporium, considered to one of the most exclusive jewelers in Lisbon. TOUS pledged to maintain the building’s heritage whilst adapting it to comply with current legislation. The facade was created in 1914 by casting metallic and organic elements in bronze. The interior is characterized by its plaster moldings of garlands and floral crowns, together with paintings by the famous Portuguese painter Artur Alves Cardoso. The refurbishment process included the complete restoration of the facade, as well as the frescoes, moldings and interior fittings. In 2018, TOUS opened a store located in a neo-baroque palace on Na Prikope, one of the busiest shopping streets in Prague. 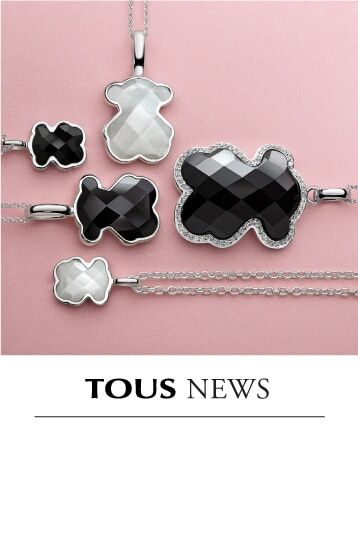 The new TOUS store can be found on the first two floors of a neo-baroque palace with classic facade. Originally designed by the Austrian architect Emil Ritter V. Förster, the building was subsequently renovated. A gently curving balcony stands out in the central area, decorated with sculptures inspired by Atlas, from Greek mythology, in addition to several Ionic columns and mansard windows. As for the store interior, the furnishings, lighting and flooring feature in a catalog of protected heritage held by the city of Prague. The building in which the TOUS store is located has undergone a restoration project to tailor the space to the brand image and adapt it to the commercialization of jewelry and accessories. The changes made ensure customer convenience when browsing around the store and viewing the product collections on show. Likewise, the restoration process demonstrates a commitment to preserving the building’s historical legacy, creating an up-to-date image that also respects that which has gone before. It is a unique space that has undergone a thorough transformation. The final result is an organized yet dynamic space, inside and out. 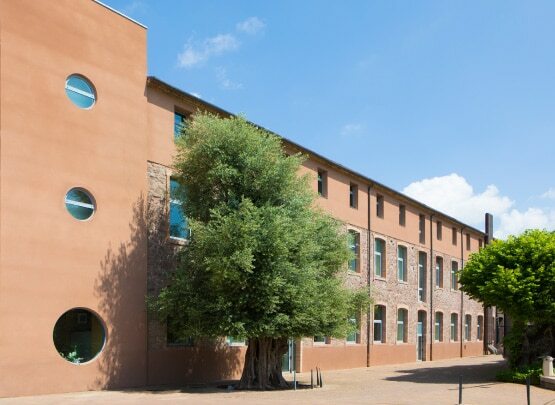 TOUS inaugurated its new corporate headquarters in El Guix, Manresa (Barcelona) in 2007, restoring a former 19th-century textile factory as part of a rehabilitation project based on standards of sustainability. El Guix, built as a traditional Catalan textile factory in 1870, is the oldest surviving textile factory in the region, and one of the few that still retains its original structure. The rectangular three-story building features stone walls and large windows on the top two floors. All the wrought iron beams that supported the original warehouse structure were recovered and converted into the lampposts in the parking area. 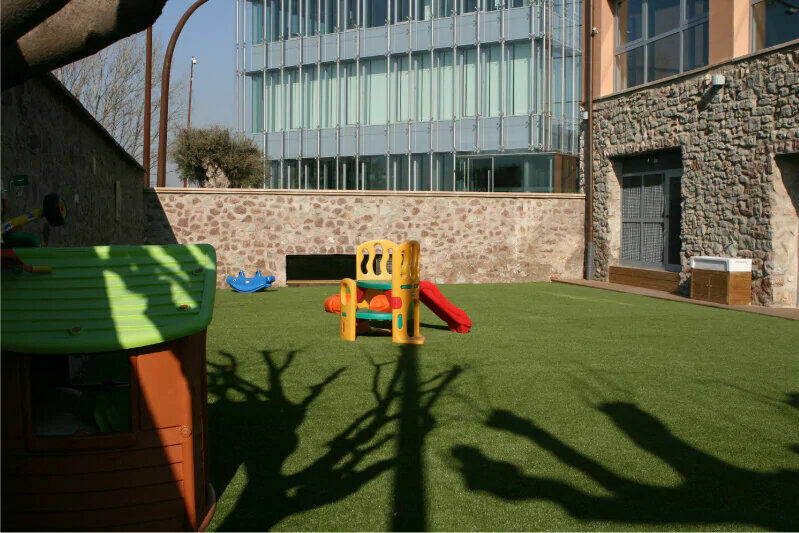 TOUS is one of the first companies in Spain to promote a healthy work-life balance, opening its ‘TOUS Kindergarten’ at its headquarters in 2007. This center is open 11 months of the year (closed in August) during working hours, with capacity for 30 children between one and three years old and was created to help employees achieve this balance. TOUS also offers a dining hall dedicated to relaxation and leisure, and staff benefit from flexi-time. Participation in the ‘Trailwalker’ race for Intermon Oxfam. The ‘Trailwalker’ challenge is a charity race organized by Intermon Oxfam to raise donations and mobilize society to create a better world: 100 km in less than 32 hours. The Trailwalker challenge by Intermon Oxfam has a clear objective: to fight poverty and injustice in the world through assistance that has a positive impact on the ability for families to access common goods such as water. It’s a charity race that poses a physical challenge and encourages solidarity in participants. Every year at TOUS, groups of four people (plus two for support) run 100 km on foot in less than 32 hours, with full backing from the company. Pets are welcome to enter any TOUS store, as long as the commercial space in which the store is located also permits them access.